I love these glasses. Want one myself. I like the black & gold. I really always have loved Ray Ban's and the shape is allllwwwayyysss in! I love the second one! I think they are like vintage! Reminds me of my dad in the 90s! Ahhh, so chic! I've been wearing a similar pair in black for weeks. I love LOVE them! 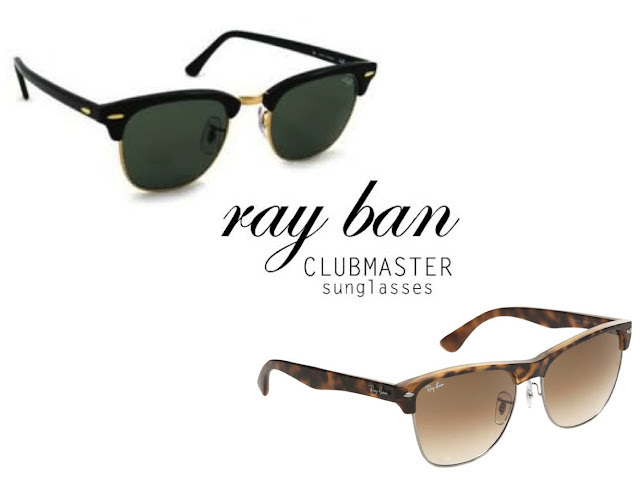 Raybans are the best classic around....I still would love to buy a pair of aviators!! I have like 3 pairs of RayBans and never regretted purchasing any! I actually just got glasses in RB and am waiting for them to come in! LOVE MY RAYS LIKE THERE IS NO TOMORROW! I'd go black and gold! Much more of a statement :) Love your blog, following you now! I first thought they were quite weird, but I tried them on and they are lovely!